Directions: From Denver take 285 South to Pine Junction. 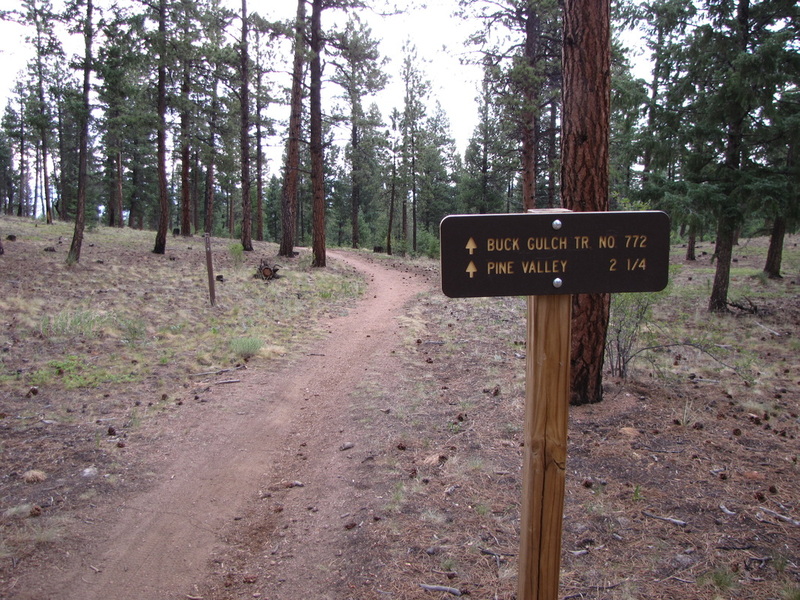 Make a left (south) on Pine Valley Road (126) and follow to just before the Pine Historic District. 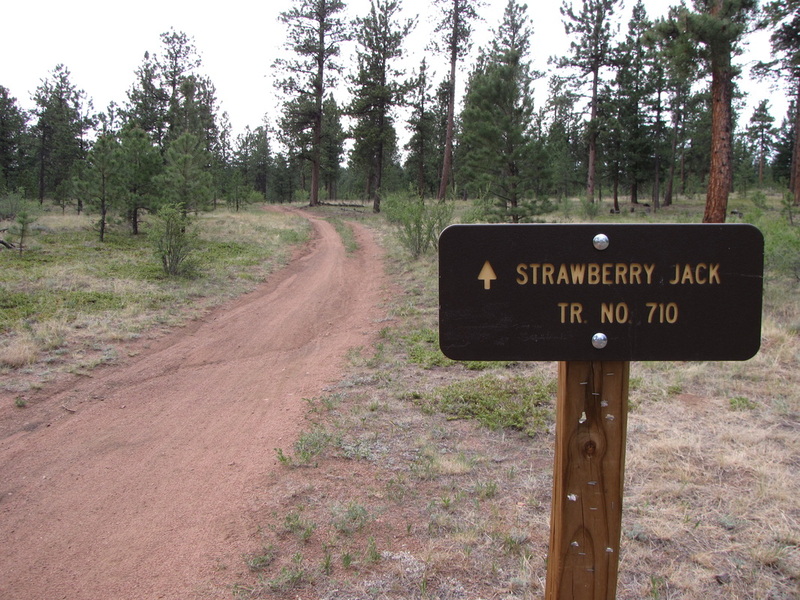 Make a left on Crystal Lake Road (following the signs to Pine Valley Ranch) and take this to the Park's parking area. 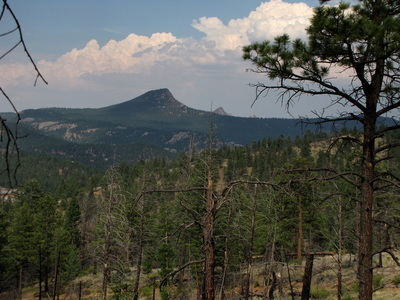 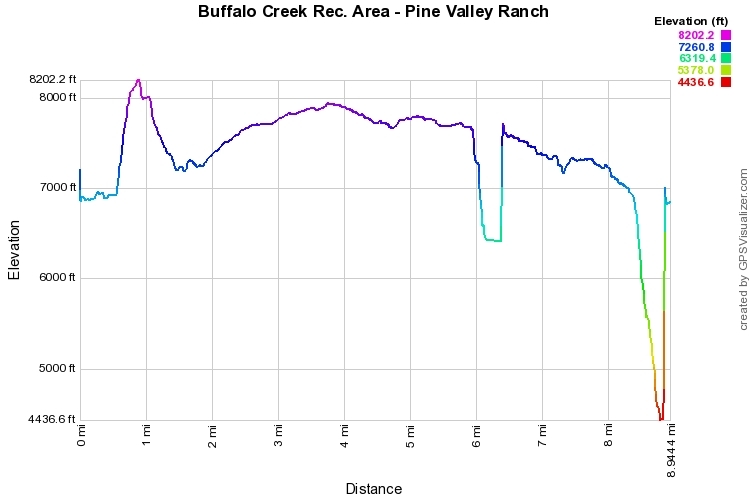 Buffalo Creek Recreation Area is intended (by the Forest Service) for mountain biking, the trails are therefore long and rolling. 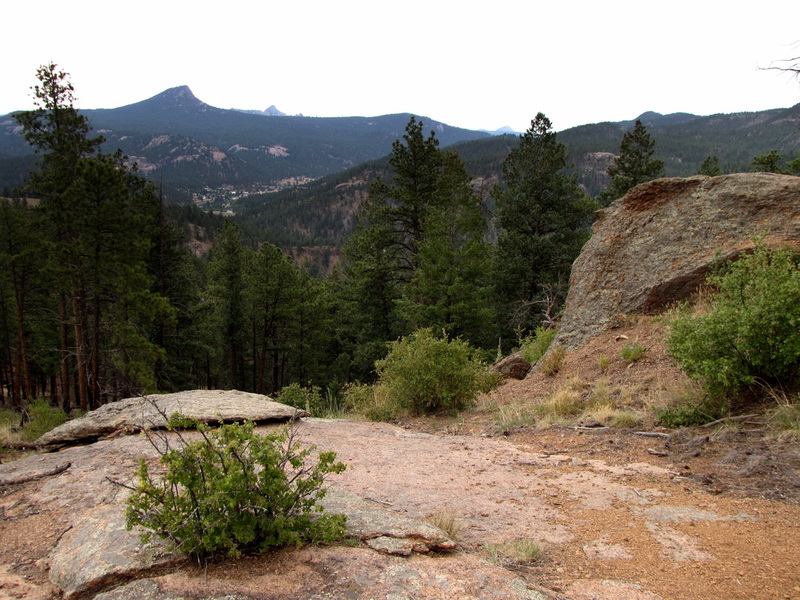 However, this area is really, very cool and worthy of exploring on foot. 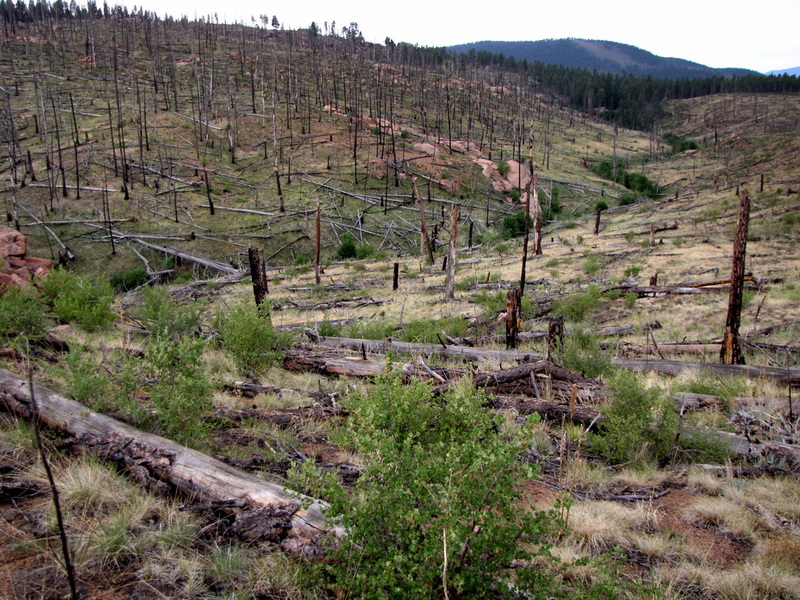 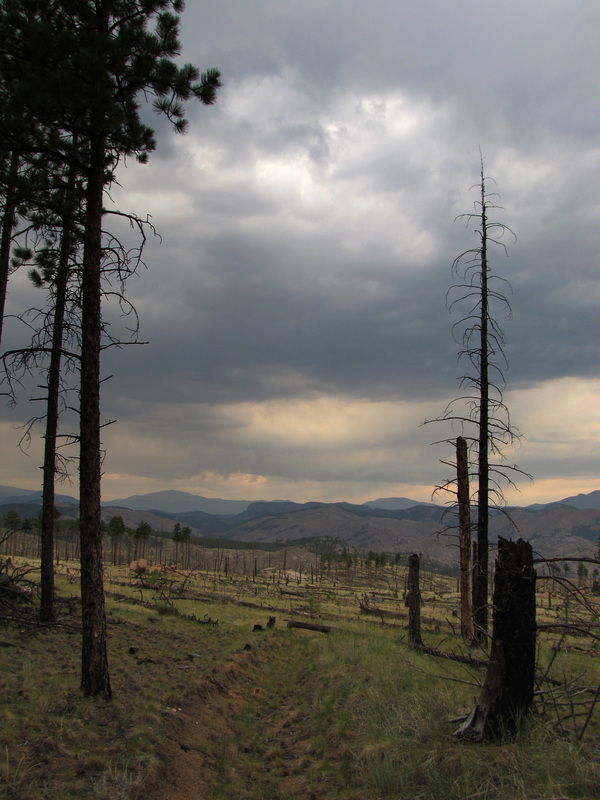 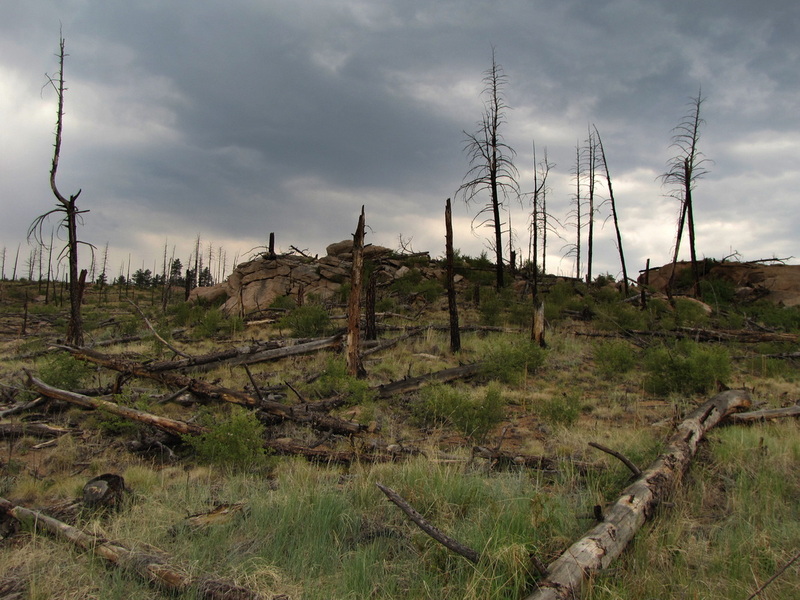 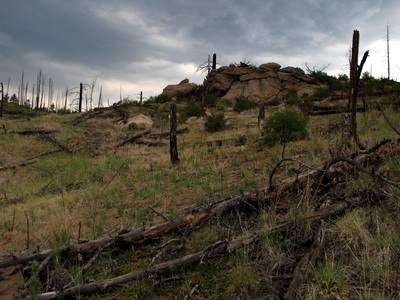 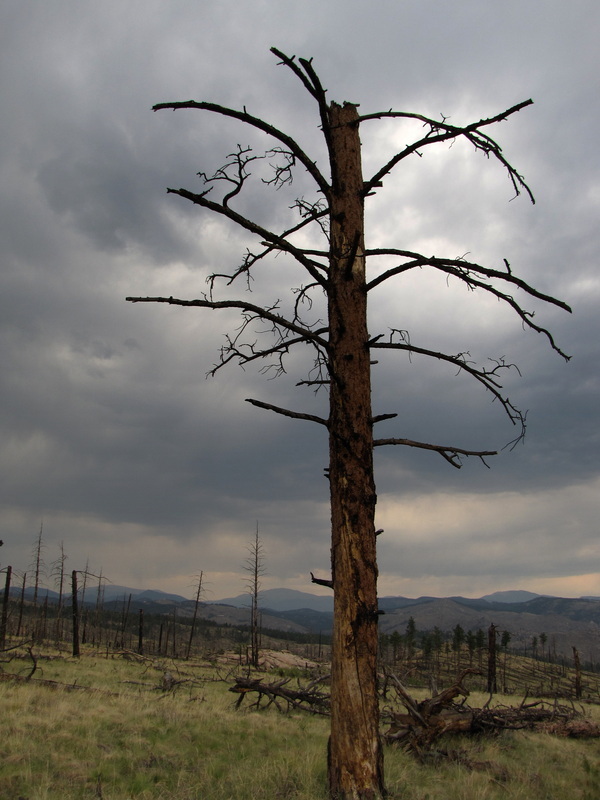 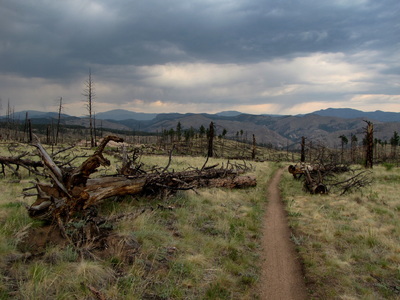 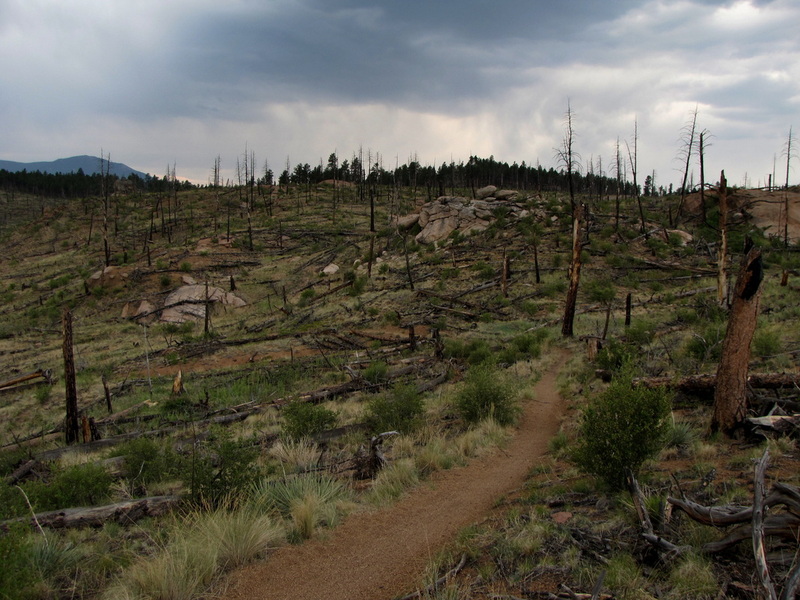 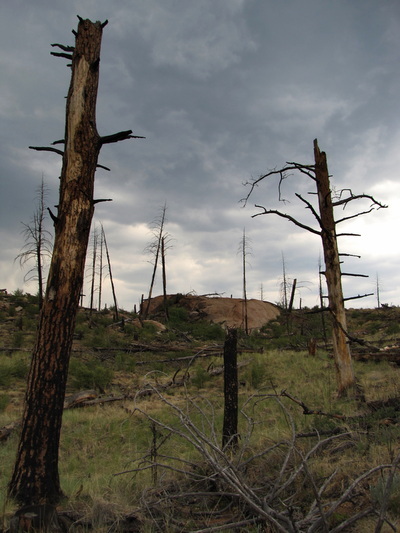 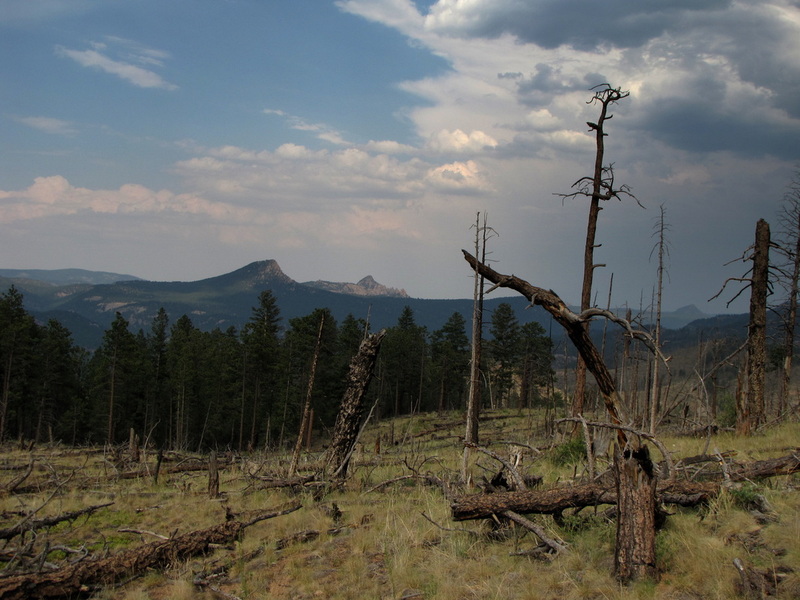 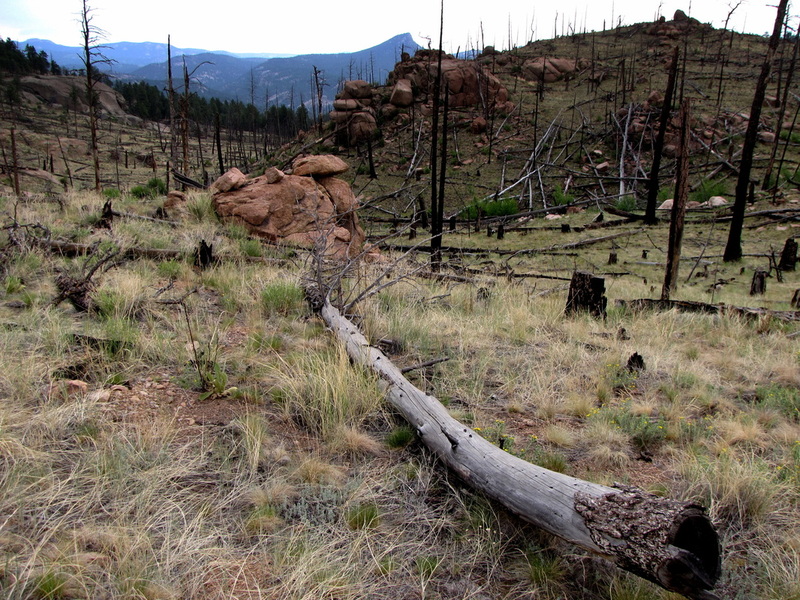 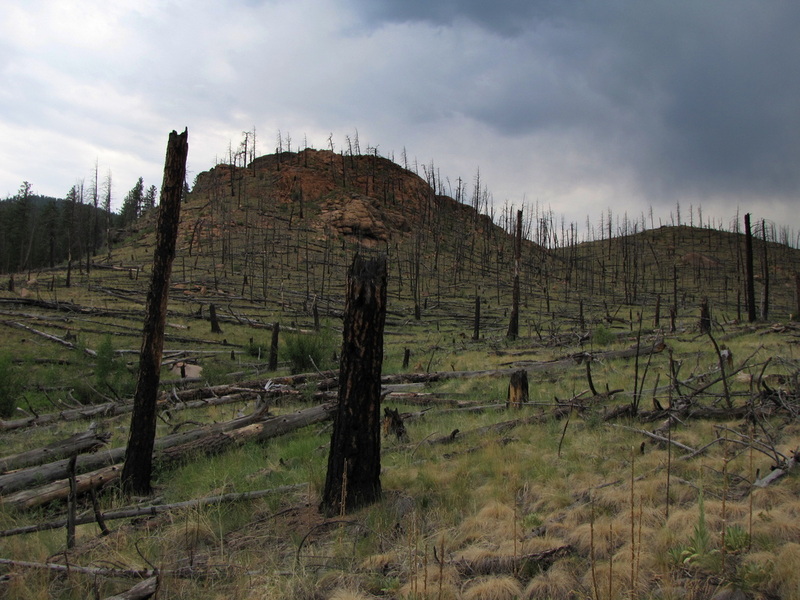 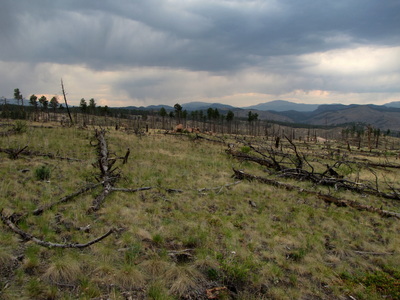 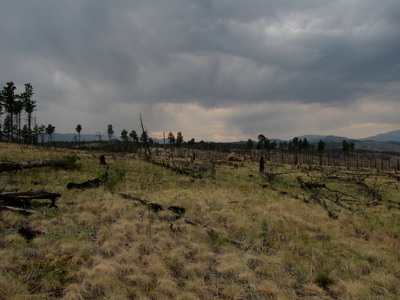 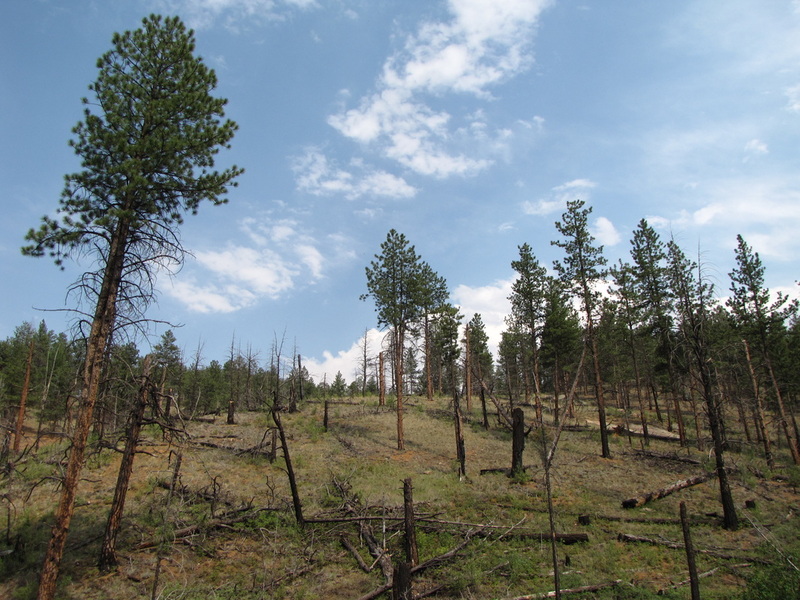 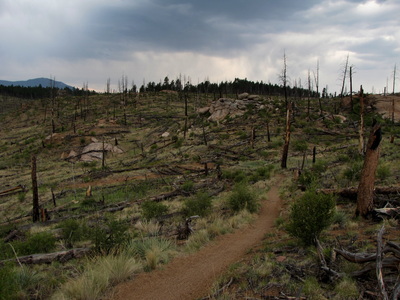 The trails traverse the remnants of the Buffalo Creek Wildfire which makes for a stark landscape. 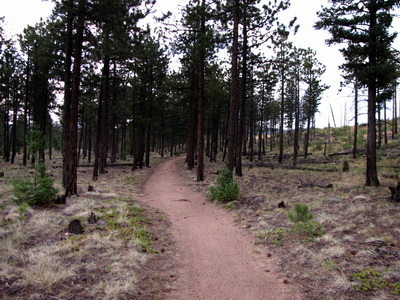 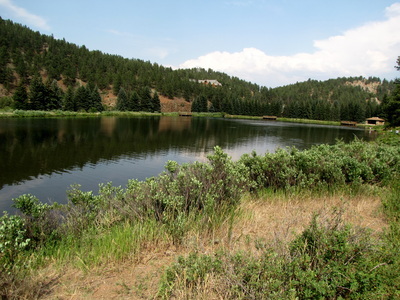 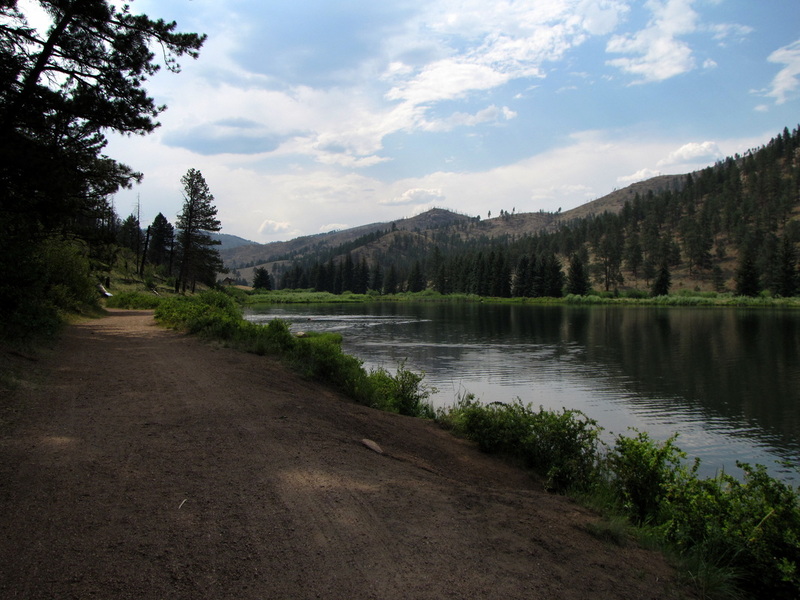 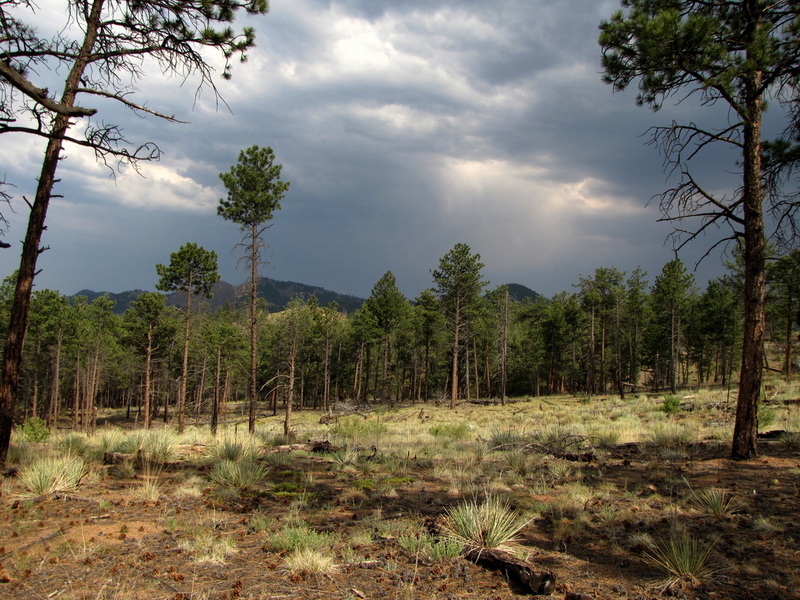 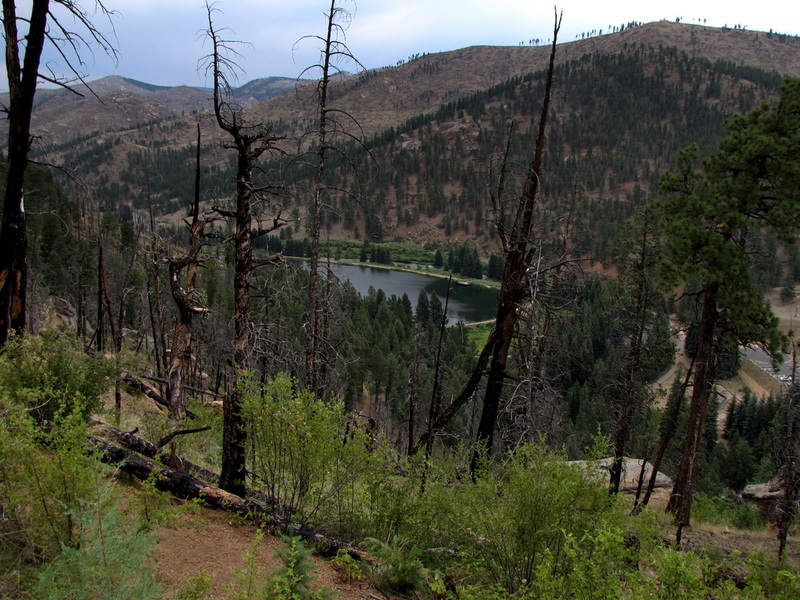 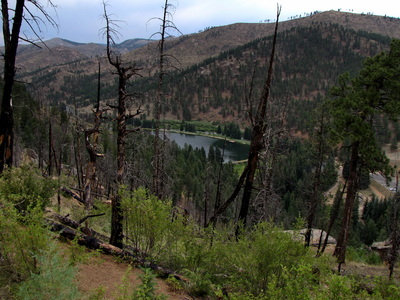 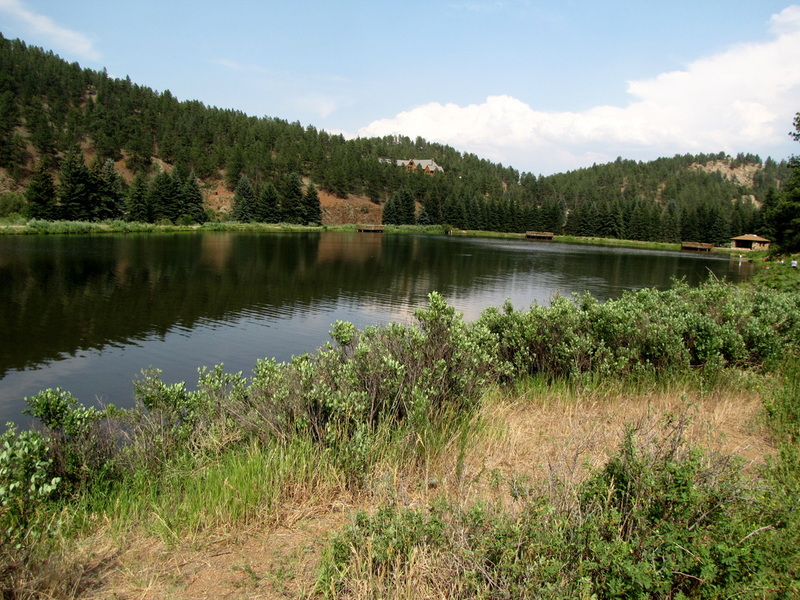 There are many ways to access this area but one of the easiest is through Pine Valley Ranch Park, part of the Jefferson County Open Space System. 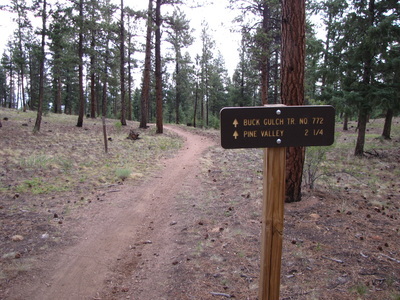 Start out on the Buckskin Gulch Trail gaining elevation and providing nice views to the east. Follow the trail out of the park. 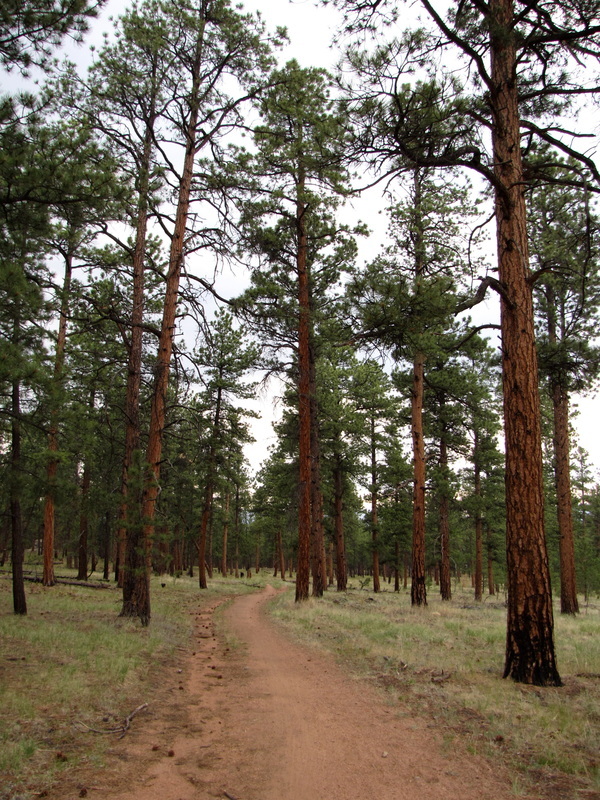 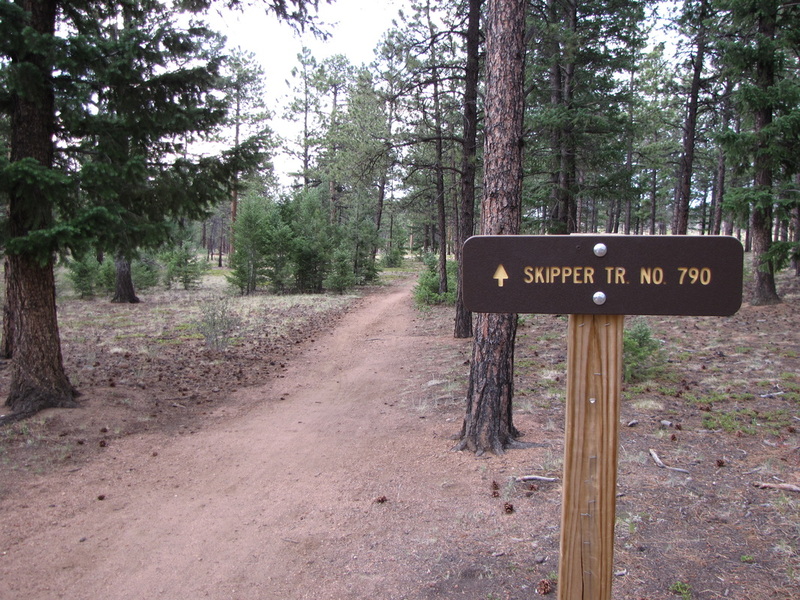 You'll be traveling through evergreen forest all the way to the Skipper Trail and another trailhead/parking area. 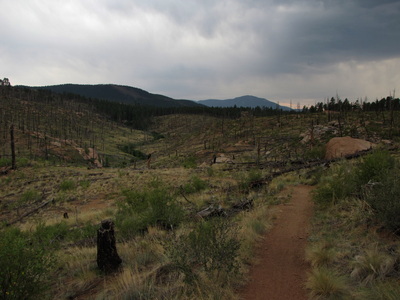 From here head east to the trail junction with the Strawberry Jack Trail. 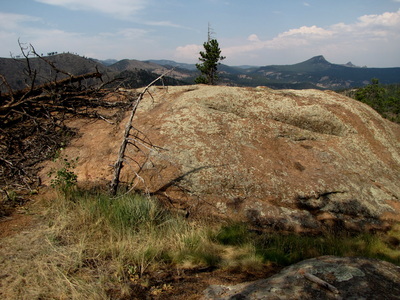 Take the Strawberry Jack Trail through the burn area back to Pine Valley Ranch where you'll hook up with the Park View Trail leading back to the parking area, but not before stopping for tremendous eastern views. 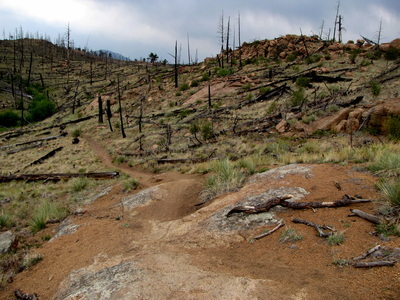 The burn area is a mixed bag. It is devastating and beautiful all at the same time. I can't help but love this area and often think that without the burn, it would just be ordinary pine forest. The silver lining of forest fires is that new life grows and the landscape also grows providing unique and inspiring hiking.